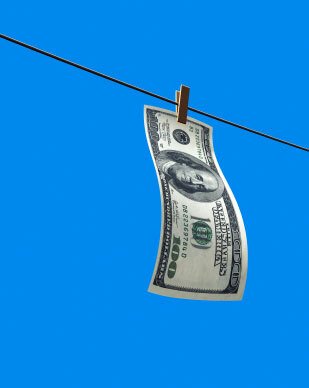 (EU Observer): EU Member states Cyprus and the UK have been named by the World Bank as two of the world's leading destinations for money launderers. The Washington-based body in a new report noted that out of 150 high-level corruption cases exposed in recent years, the UK and UK overseas territories Bermuda, the British Virgin Islands, the Cayman Islands, the Isle of Man and Jersey hosted 172 companies used in criminal schemes. "Corruption is estimated to be at least a $40 billion dollar a year business. Every day, funds destined for schools, healthcare, and infrastructure in the world's most fragile economies are siphoned off and stashed away in the world's financial centers and tax havens, the author of the study said. It's direcly related to the total amount of money passing through each location. What a misleading article. If you read the report (pp 121-122) you see that the US – not even mentioned here – was the most common jurisdiction for corporate vehicles involved in the corruption cases being studied, with 102 on its own. The headline figure of 172 for the UK and OTs was mostly the BVI at 91 and the UK at 24. Cayman accounted for 15, Bermuda and jersey 12 each and the Isle of Man 7. When it came to where bank accounts were set up, the USA was far and away the leader, with 107. Cayman does not appear in the table of the top 10 locations. In fact the authors of the report specifically note, for example, that "
The evidence analyzed in this study shows that [Trust and Company service Providers] in certain financial centers more typically considered “onshore” actually exercise less strict due diligence than jurisdictions identifi ed as off shore financial centers (OFCs)."